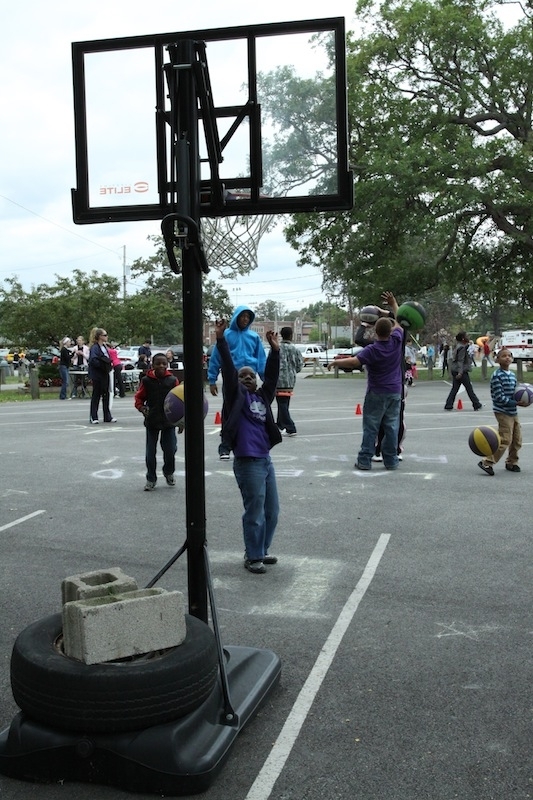 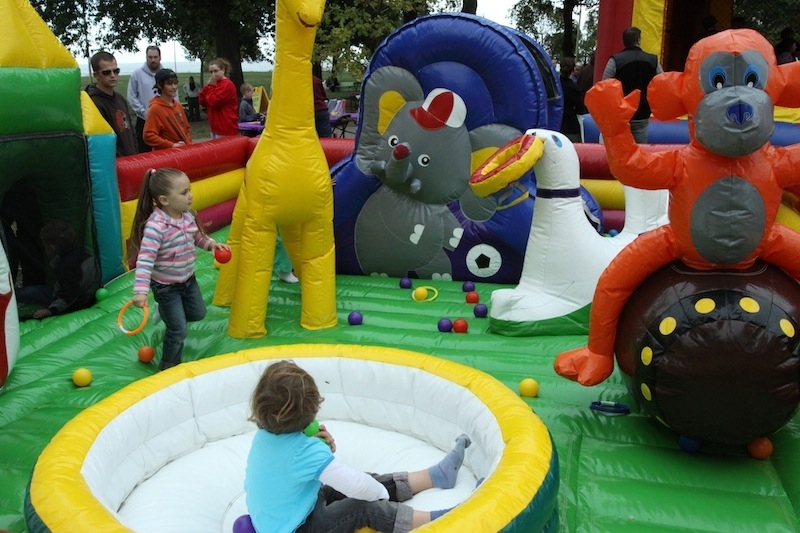 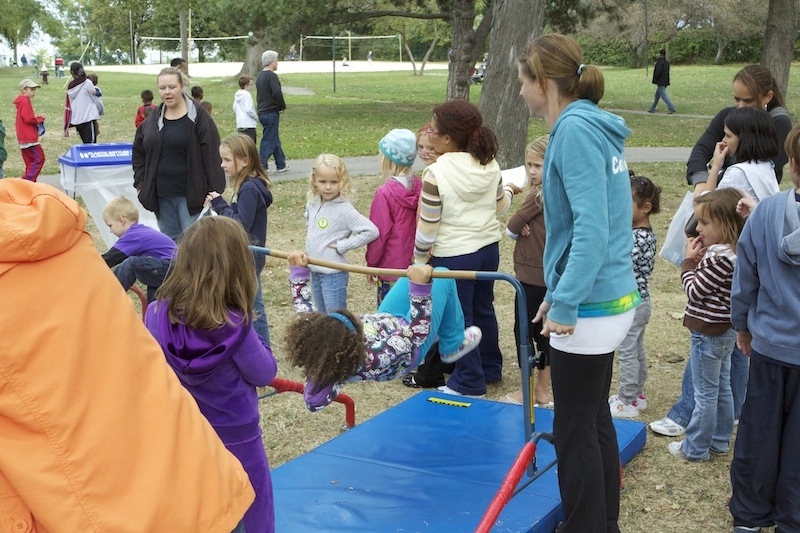 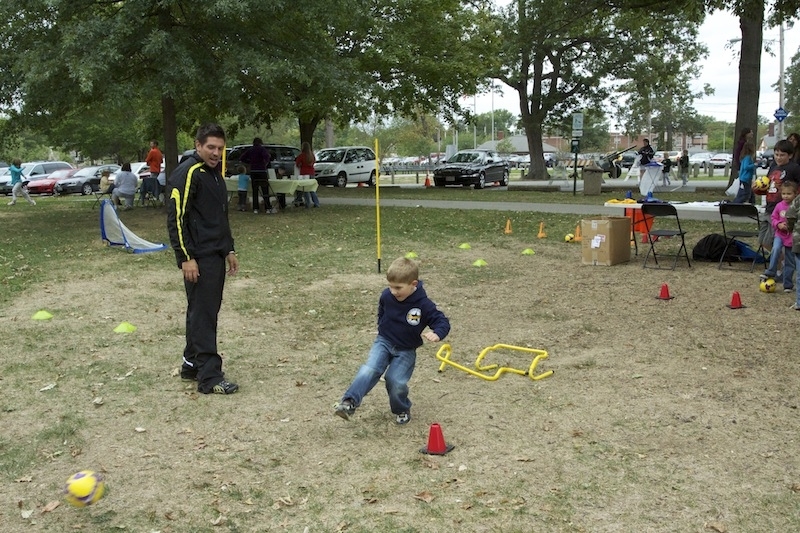 Recess Rocks is a chance for kids to try a number of different sports. 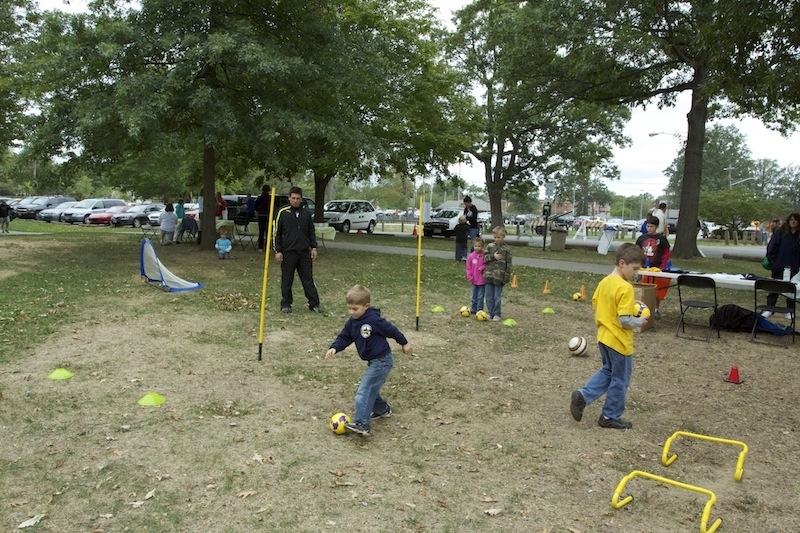 Soccer and basketball are the most popular. Bacari Montgomery [left], a seasonal associate and Steve Thiel [right], a marketing intern, both from the Cavs, They were helping kids shoot basketballs at Recess Rocks at Lakewood Park on September 26, 2010. 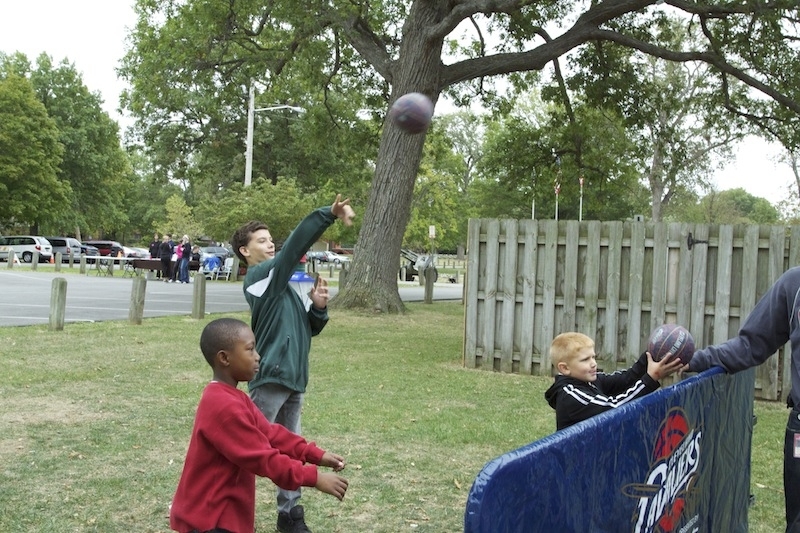 Children playing in the little playground in Lakewood Park during Recess Rocks on Sunday the 26th. 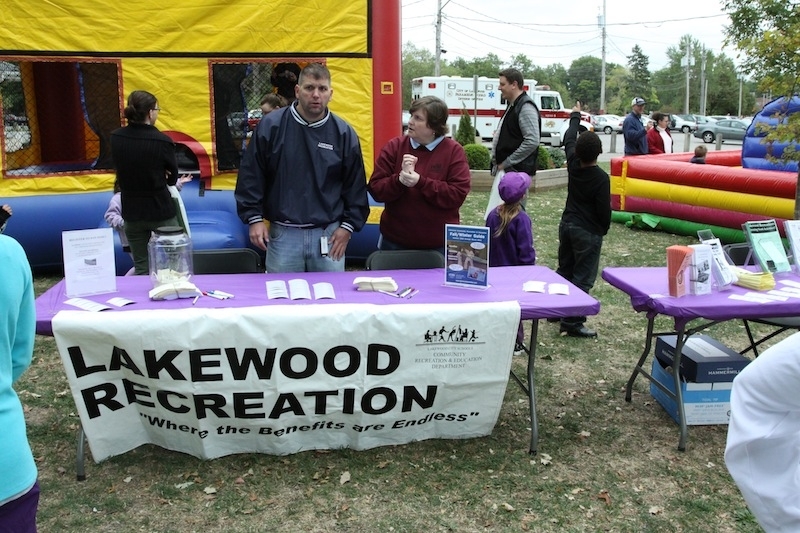 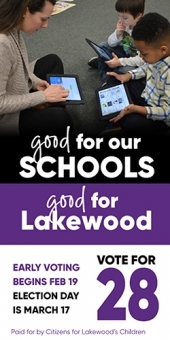 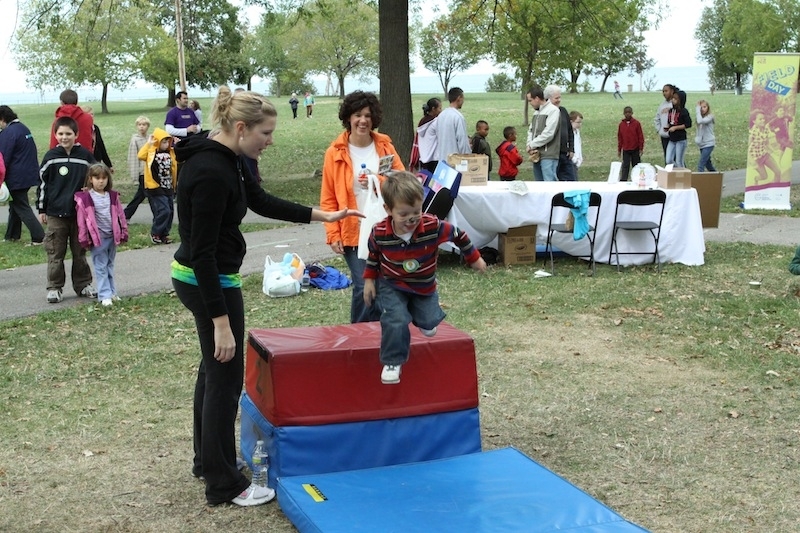 Mitch Robiba, program director for the Lakewood Recreation Department at his table at Recess Rocks. 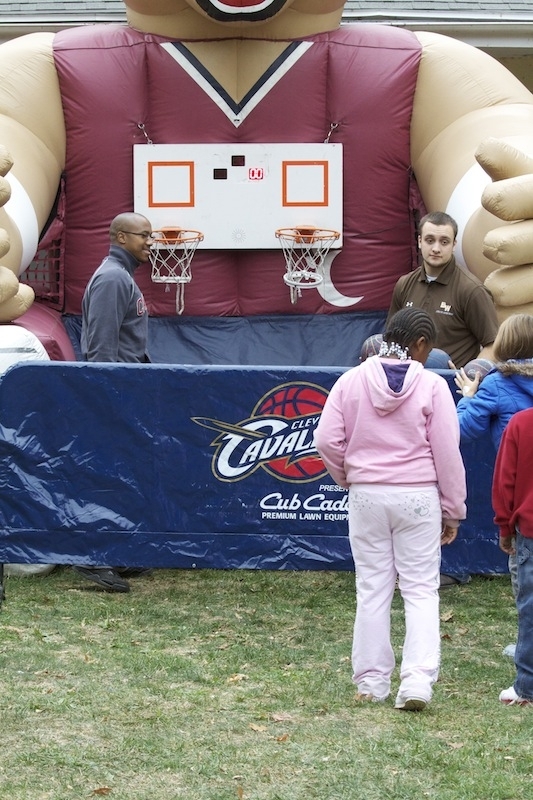 The Cleveland Cavalirs reps at Recess Rocks. Vladimir Godosem, the J.V. 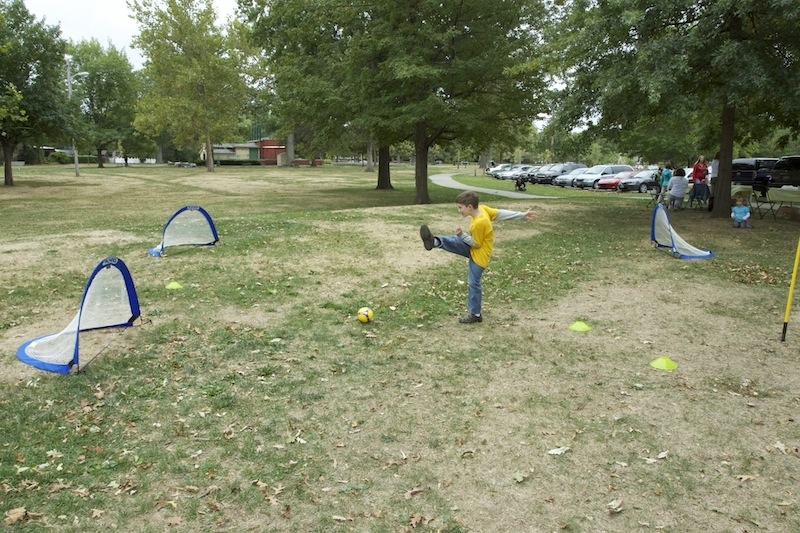 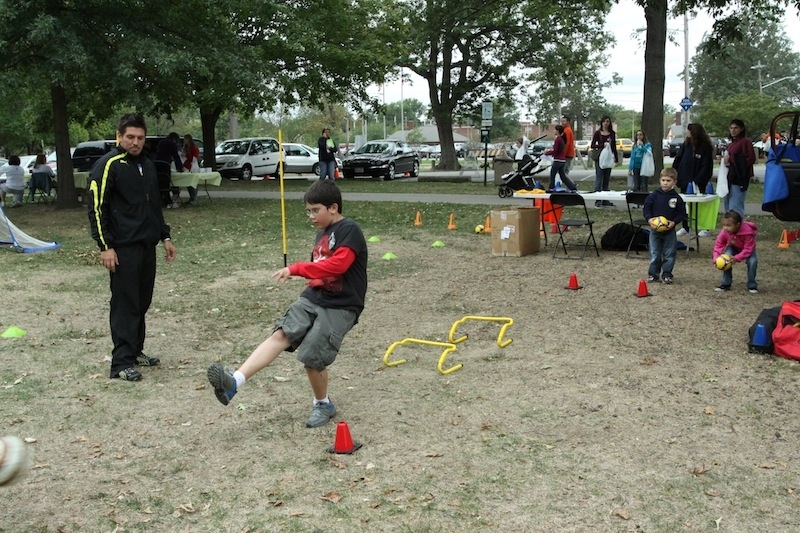 Soccer coach for Lakewood High School, showing children how to kick soccer balls at Recess Rocks at Lakewood Park. 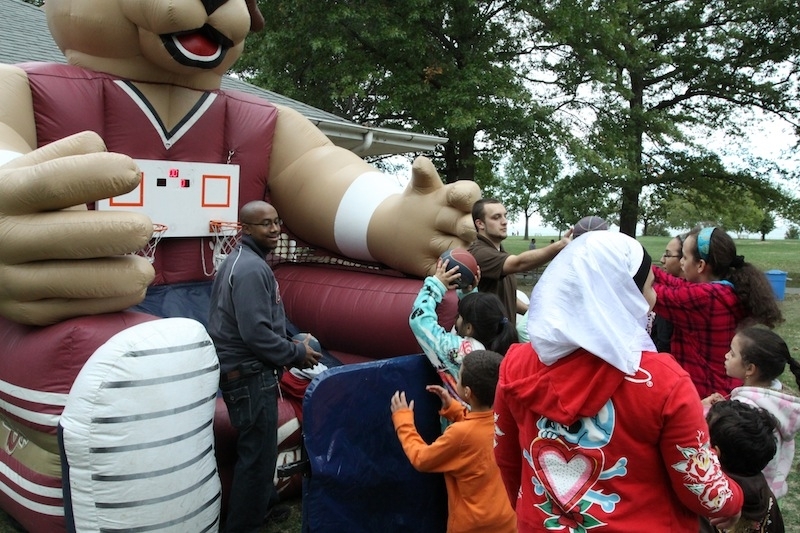 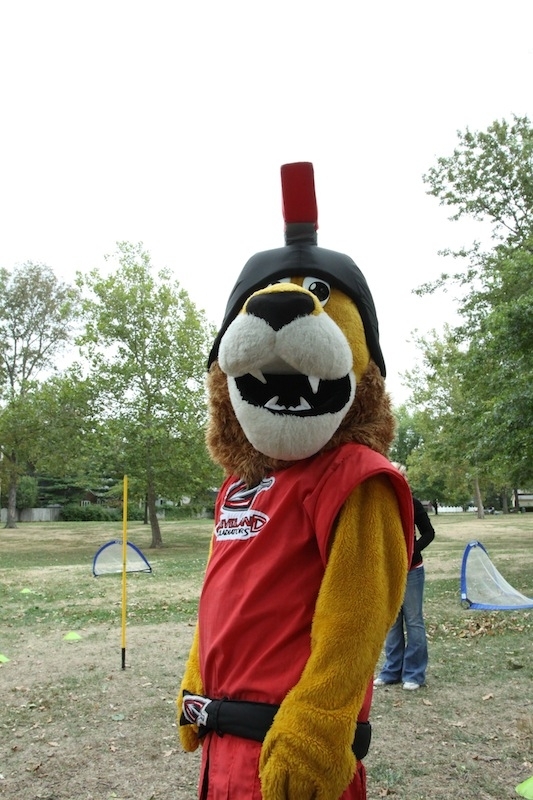 The Cleveland Gladiators mascot at Recess Rocks, meeting children and parents on Sunday, the 26th. 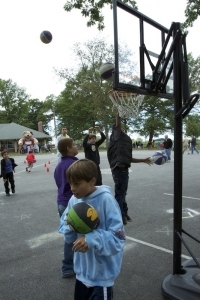 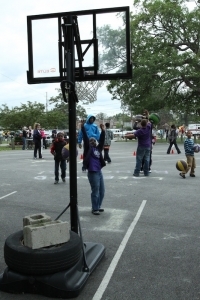 Boys playing basketball during Recess Rocks at Lakewood Park on September 26, 2010. 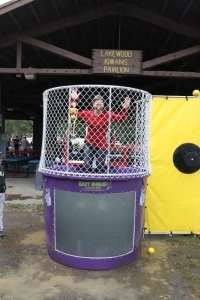 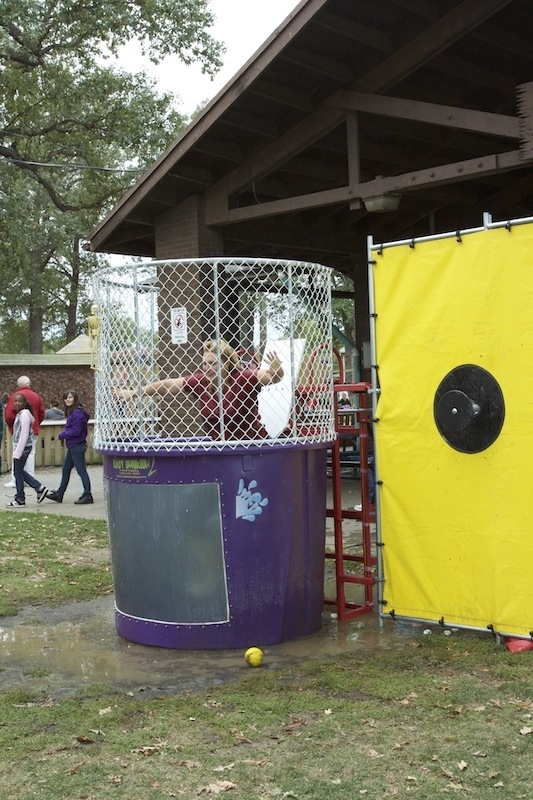 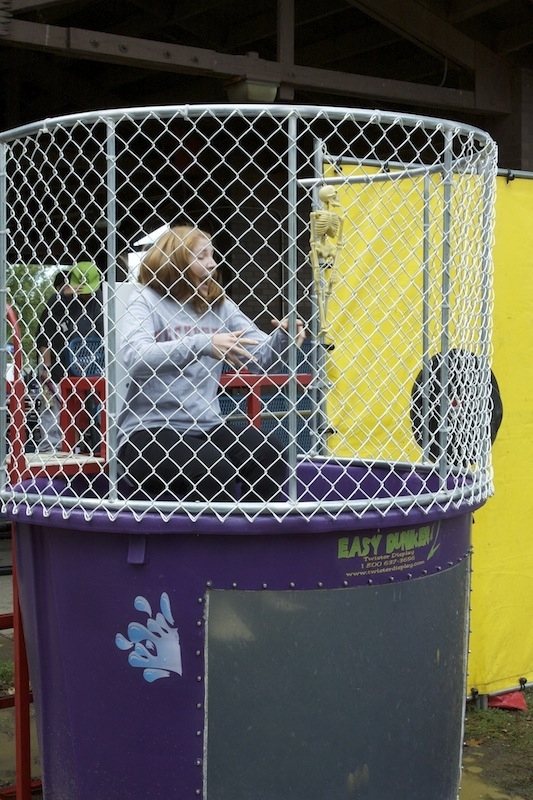 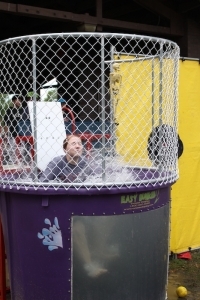 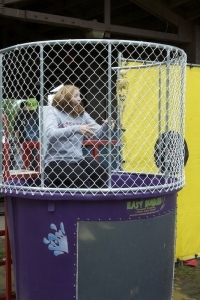 One of the teachers getting dunked at Recess Rocks on September 26th. 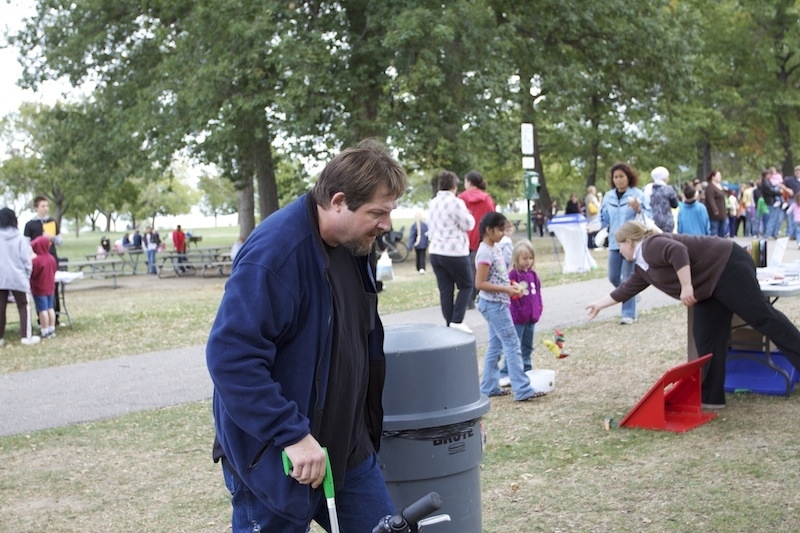 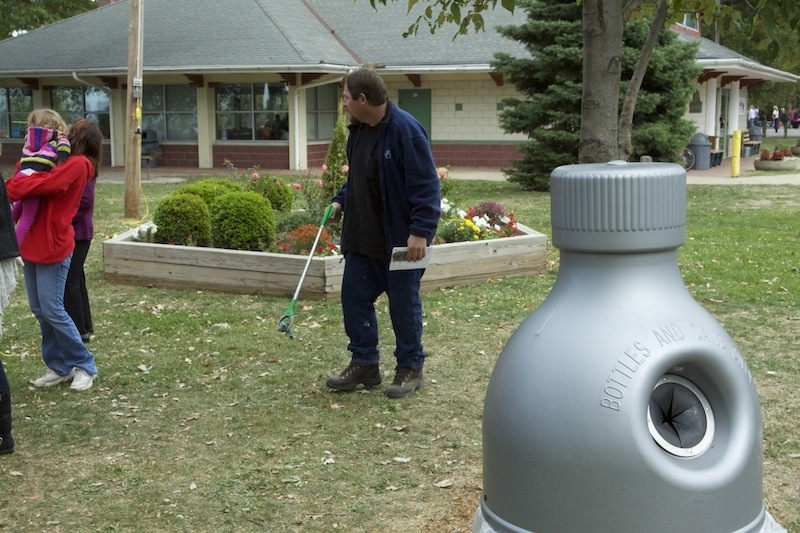 Walter Wielkiewicz, of Lakewood Maintenance, cleaning up at Recess Rocks on the 26th.